weToday, the Google Cloud team released its latest announcement to its game-changing Google Hire product that could potentially compete with cheaper and smaller applicant tracking systems. It is called candidate discovery, and it is impressive for sure. Candidate discovery is an intuitive search capability that gives recruiters a head start by helping them quickly find a short list of past candidates who are a fit for new positions. Candidate discovery saves recruiters time by automatically identifying previous candidates who may be a fit for a new job. Yes, that just happened and you just read it here. That is, of course, you are one of those news reals people who have press releases sent to your inbox. According to the press release, for every person hired, a company typically engages with 250 candidates. Often, many of the 249 that don’t get hired is a great fit for future openings, but companies haven’t always had an easy way to identify past candidates that might be a good match for new jobs. Let’s take a look at the new some of the new features and how this could affect the way you do recruit. An automatic creation of a prioritized list of past candidates based on how their profile matches the title, job description and location of a new role base on the internal resume. Now if you have ever chatted with me about using your internal database instead of always going out to find new candidates as opposed to a candidate that was not quite the fit a year ago; now they could be. This can save recruiters time because they can now quickly identify and re-engage known candidates instead of spending time trying to find new ones. Search capabilities that understand the intent of what recruiters are looking for and matches skill sets with specific job titles. Candidate discovery follows the intention of what recruiters and sourcers are looking to fill. It takes a search phrase like java AND “web developer” AND “Bay Area” the system immediately understands the skills and experiences relevant to that job title, as well as which cities are part of the Bay Area. That means the search results will include candidates with the skills you are looking for even if their past job titles are not an exact keyword match. Sound familiar to what you are manually doing now? Search by previous interactions with candidates including the type of interview feedback received or whether an offer was extended previously. By searching previous interactions with candidates Hire lets recruiters to search and filter based on the last communications with the candidate such as the type of interview feedback they received or whether you extended them an offer that was turned down. Candidates with positive feedback will rank higher in search results than those without, and candidates who received an offer in the past but declined it will rank higher than those who were previously rejected. 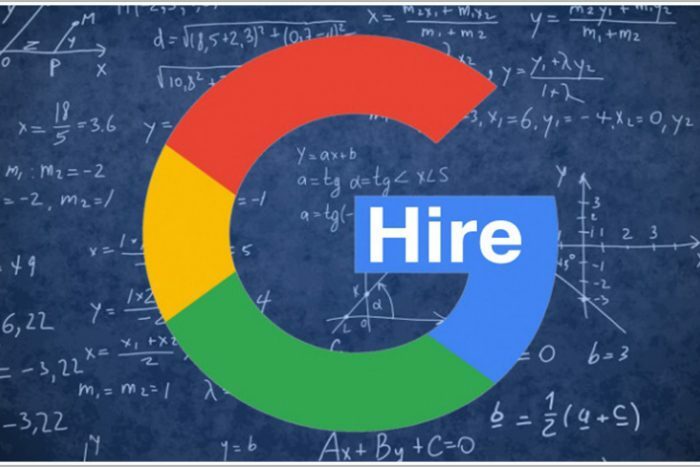 Hire by Google is introducing candidate discovery in beta for its current customers and I believe those that would sign up should get these features as well. That should be coming up in a later post as soon as I can get on the demo list; I think now more than ever the product team doing demos are going to be very busy today.